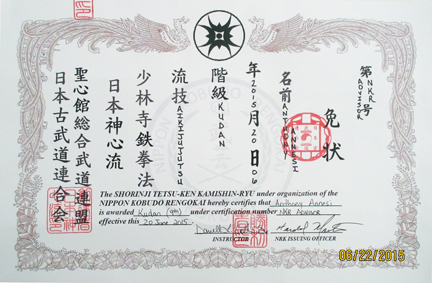 A kenkyukai is an organization for the research and development of martial arts as contrasted to a shinkokai which is an organization dedicated to the preservation of classical martial arts. As the name implies, this research organization is based on study done at BUSHIDO-KAI which serves as its hombu dojo. Bushido-kai Kenkyukai is a small federation by most norms because (a) we do not advertise, (b) we do not accept everyone, (c) we do not cater to all styles or every situation, and (d) we want to keep the number of member schools relatively small so that we can help every head instructor learn and teach to the best of his/her ability. To do this we must have a personal relationship with each head instructor. Too large a federation would prohibit this. We are interested in quality not quantity. 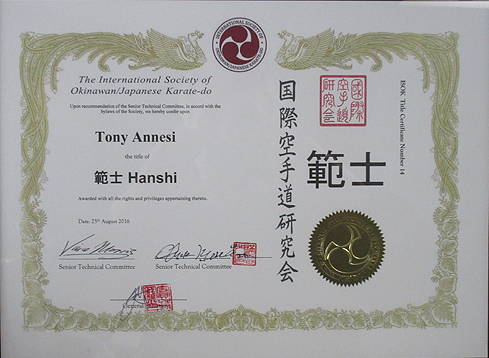 We find it most comfortable working with those trained in a Japanese based style, usually karate, kempo, ju-jutsu or aikido, however every instructor will be considered fairly according to his/her training goals and aspirations. 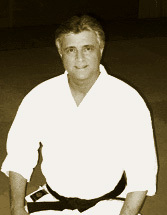 If a Hapkido stylist, for example, wishes to train in our Takeshin Seiken Budo, there is a strong likelihood that that will be possible, but it would be possible but more difficult for a Tae Kwon Do stylist to fit into our karate division because the stylistic norms and training purposes are different. 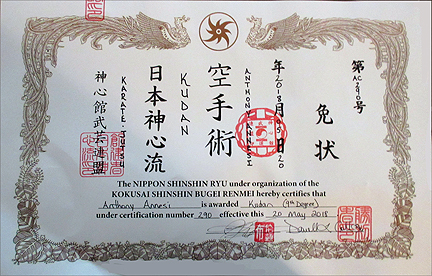 Bushido-kai Kenkyukai has a three-step application process to insure that each inquiring instructor has full understanding of the federation and so that no instructor feels committed to membership before being confident of the decision. Our membership is reserved for instructors with active schools or for individual instructors previously enrolled with us who are temporarily without a school. If, after reading this information, you have any questions or if you would like to visit BUSHIDO-KAI HOMBU DOJO, please feel free to contact us, Monday through Thursday evenings from 6:00 to 7:00 or from 9:009:30; Saturdays from 2:00 2:30 EST.